Abstract: The “Mining Law of 1872” has been much maligned as being “ancient,” “out of date,” and “in need of modernization.” In fact, governmental systems of regulation of private mineral development can be traced to Greek and Roman precedents and what became the mining laws of the United States reflect a reliance of private initiative that is almost unmatched in the world. Mr. Lacy’s thesis is that the modern criticisms of this law reflect arguments for imposition of law that the laws of the United States were designed to avoid. This presentation will trace the roots of mining law from an ancient genesis, through the development of tribal traditions of the “free miners” of medieval Europe and the importation of Saxon/English and Iberian systems into the New World. Once in the Americas, traditions of private custom and regal systems combined into the ordinances and practices in the Viceroyalties of New Spain and Peru, then into the mining camps of the California gold fields and the Comstock Lode and finally were incorporated into the mining laws of the United States. The presentation will try to isolate those portions of the mining laws of the United States that reflect a basic policy of encouraging mineral development from those portions of the law that are rightfully criticized as being archaic. Biography: Mr. Lacy is a shareholder in the law firm of DeConcini McDonald Yetwin & Lacy in Tucson, Arizona. His practice emphasizes mining and public land law and encompasses transactional and title consideration involving acquisition of mineral rights from private and governmental agencies together with permitting issues and associated water rights. A significant amount of Mr. Lacy’s historic practice has been devoted to international mineral transactions and he assisted in the revisions to the mining law of the Republic of Bolivia and the English translation of the mining laws and regulations of Mexico. He has teaches courses on mining and public land law, oil and gas law and mineral transactions at The University of Arizona Rogers College of Law and in the Department of Mining and Geological Engineering as an Adjunct Professor. He is the author of numerous publications concerning mineral rights and mineral law history and occasionally testifies as an expert witness on these subjects. 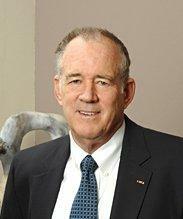 Mr. Lacy is a past President of the Rocky Mountain Mineral Law Foundation and the Arizona Historical Society.